If you or a loved one is addicted to drugs or alcohol, there is help available. Modern addiction treatment facilities offer high-quality care based on scientific research and therapy, designed to truly help individuals suffering from substance use disorder. Unfortunately, addiction treatment is relatively poorly regulated in comparison to many other medical services. Addiction treatment facilities vary in quality and service levels, offering everything from extremely basic care to high levels of psychological support and behavioral therapy. If you’re searching for a drug and alcohol rehabilitation center, you want to know that you’re making the right choice. Learning about the factors going into quality substance abuse treatment, accreditation, and what to look for when choosing a treatment center will help you to choose addiction treatment with the highest chance of success. Why Is Addiction Treatment Different? While addiction treatment has been around since the 1940s, it’s a relatively new science. In fact, until relatively recently, most people believed that addiction was purely a choice, following the “free will” model of addiction. Here, it was believed that individuals chose to drink or use drugs and that they were not sick. Today, we know that addiction is a medical problem, a mental disorder characterized by uncontrolled substance abuse and physical changes to the brain and chemical dependency. Despite that shift in knowledge, many addiction treatment options still combine both the free will model and the disorder or “disease” model. This is important because it means that different rehab centers will utilize different levels of treatment and support. 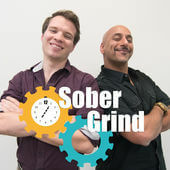 Some may believe that individuals largely only need the proper motivation and social support to get and stay clean or sober. These rehabilitation facilities are often entirely focused on the spiritual and likely integrate a 12-Step model. Some addiction treatment centers utilize a science-only approach, where the chemical dependency and psychological behavior are taken into account but nothing else. Others combine both spiritual treatments such as 12-Step with evidence-based treatment such as Cognitive Behavioral Therapy (CBT). At the same time, addiction treatment is only lightly regulated, although changes are in process that will provide more regulatory scrutiny. Where diseases are well-recognized as needing medical care and support, it is only recently that substance abuse has been recognized as a medical problem. Treatment facilities can often offer care at any level they choose. This has led to some fraud in the industry, as well as to rehabilitation facilities offering care without evidence of their ability to do so effectively. While a diverse range of treatment options, including spiritual, is ideal to meet the needs of different types of people, there are specific items you can look for to ascertain the quality of your drug and alcohol rehab program. While addiction treatment is relatively lightly regulated, there are regulations and rulings at both Federal and State level. The most notable of these is the 42 Code of Federal Regulations: CFR Part 8: Medication Assisted Treatment for Opioid Use Disorders. This code stipulates Federal standards for opioid addiction treatment and requires that opioid treatment centers distributing medication such as Suboxone be certified by an accreditation body. The code recognizes that opioid addiction treatment is diverse and must suit the individual and offers guidelines for Federal quality standards for opioid treatment standards. There are specific entities that offer accreditation for drug and alcohol addiction treatment centers. The best of these is the Joint Commission on Accreditation of Healthcare Organizations (JCAHO). 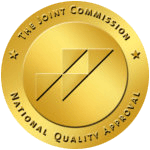 An independent, not-for-profit organization, The Joint Commission accredits and certifies nearly 21,000 health care organizations and programs in the United States. Only around 2,000 of these are Behavioral Health Care Centers, which include Drug and Alcohol Addiction Treatment facilities. JCAHO also certifies hospitals and other healthcare facilities so their standards are the highest available. The JCAHO accreditation is the highest level possible for an addiction treatment center and reflects the rigorous standards of clinical excellence and comprehensive facilities necessary to achieve the accreditation. Another national organization that issues certification is the Commission on Accreditation of Rehabilitation Facilities or CARF. This is another reputable certification entity and treatment centers have to adhere to certain standards to obtain the CARF seal. Note that CARF does not accredit hospitals, and in general the certification is not as rigorous or as highly regarded as JCAHO. A treatment center may also belong to another well-regarded entity, the National Association of Treatment Providers, or NAATP. NAATP is an association of select providers of addiction treatment and ensures that members practice and encourage ethical and values-based approaches to healing. This is not an actual certification but it shows that the treatment center agrees to abide by NAATP standards. Most states also have their own legislation, which can vary quite a bit from state to state. These laws may include which treatment methods are allowed, which types of medication are allowed, and how the treatment facility is allowed to operate. Note that some lower levels of care, like sober living, typically do not require a state license. You should ask if the facility has been issued a license to operate as an addiction treatment facility by the state. As discussed in detail above, accreditation is one of the most important things you can look for when choosing an addiction treatment facility. While it won’t guarantee that the facility will help someone to recover, it does indicate that the facility offers care to a certain standard, which should be your minimum requirement. It’s common for rehabilitation centers to hire one or two highly qualified individuals and staff everyone else as assistants. If you want quality care, it’s important to verify that staff are experienced and highly educated (registered or licensed in their field at a minimum). Most rehabilitation centers will be happy to discuss the qualifications of staff as well as the percentage of qualified to non-qualified staff. This is even more crucial if the rehabilitation program offers medical support in the form of medically assisted detox, social-model detox, or medically assisted opioid treatment. No matter what form of treatment you’re getting, the clinicians, counselors, therapists, and psychologists should be educated, trained, and registered or licensed. A reputable center should be willing to discuss outcome data with you. It is a good idea to request information on success rates, relapse rates, and how the treatment facility backs up that data. Dual diagnosis, where individuals are diagnosed with both a substance use disorder and a mental disorder such as depression or anxiety is increasingly common. This is largely because more facilities are recognizing dual diagnosis as a serious and very real problem and are screening for it. Here, mental disorders play into addiction by increasing vulnerability and making recovery more difficult. Experiencing a full recovery with a mental disorder means treating both the substance use disorder and the mental one at the same time, to ensure that the individual develops adequate coping mechanisms for both. Because as many as 41% of substance abusers suffer from comorbid disorders according to the National Institute on Drug Abuse, it’s crucial to choose a program that can screen for, recognize, and treat dual diagnosis when it happens. Modern science is increasingly cognizant of the fact that addiction is influenced by numerous factors including mental health, past trauma, environment, social situation, and biology. Underlying issues including psychological problems, past trauma an PTSD, and recurring stress due to environment each play a huge role in how and why people use and become addicted in the first place. Today, many treatment facilities use evidence-based care such as behavioral therapy to help individuals recognize underlying causes and to treat those causes, instead of the symptom of substance abuse. Addiction treatment should also include programs for stress management, unlearning negative or harmful behavior, and for developing coping skills, all of which will help the person in treatment to recover. Over 24.5 million people in the United States suffer from substance use disorders, but less than 11% of them ever get help. While this is in part because of difficulty seeking out or affording treatment or shame related to substance abuse, misunderstanding treatment also plays a part. Today’s addiction treatment centers are varied and many offer programs ranging from supportive 12-step to evidence-based therapy and counseling, which does work. While it is important that you take the time to research a treatment facility before seeking help, know that help is out there, and high-quality treatment does work. Taking the time and effort to research an addiction treatment program is critical. Providing you make sure that program offers the treatment, medical support, and quality care you need, moving someone with a substance use problem into addiction treatment is the best option to help them recover.